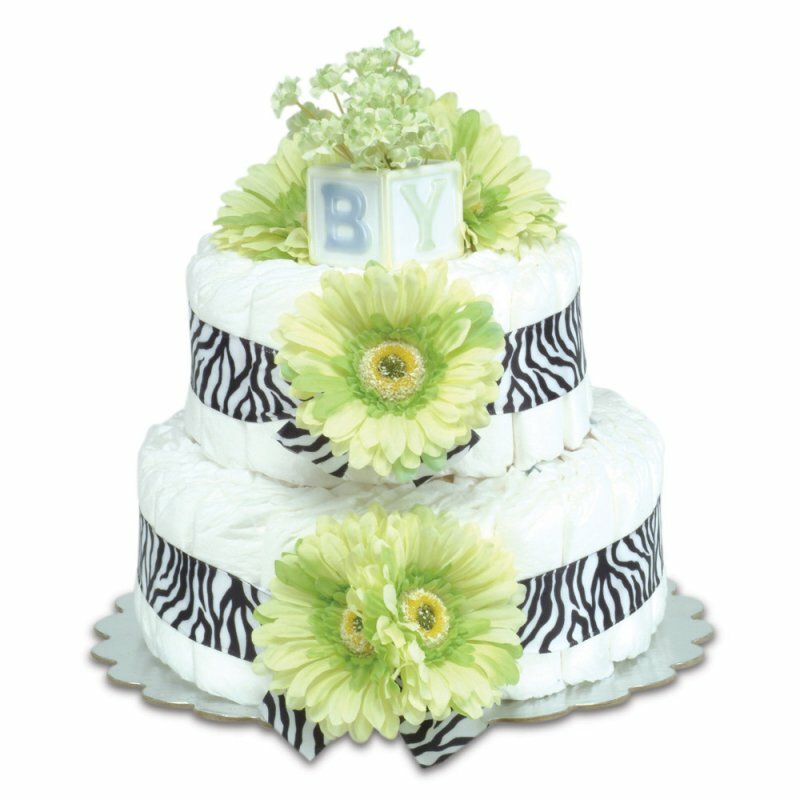 Unique Diaper Cakes & Baby Cakes are made with lots of unique baby shower gifts and baby care items that Mom-To-Be will need. Cuddly plush animals, diapers, gowns, hats, blankets, lotion, powder and more ... unique baby shower gifts packed full of baby care supplies. Find lots of cute and unique Diaper Cakes, which are mainly constructed with a generous supply of diapers, and adorable Baby Cakes, which are typically constructed with all types of fun clothing, blankets, towels and use fewer diapers ... enjoy! A triple decker delight. A plush teddy bear sits atop three layers of goodness. Made from 6 diapers, 3 washcloths, 2 undershirts, a hooded towel, and lots more essentials for Mom! As good as it looks and 32" high, this Duck baby cake is loaded with a gown, hat, hooded terry towel, receiving blanket, lotion and more goodies! Perfect in pink! 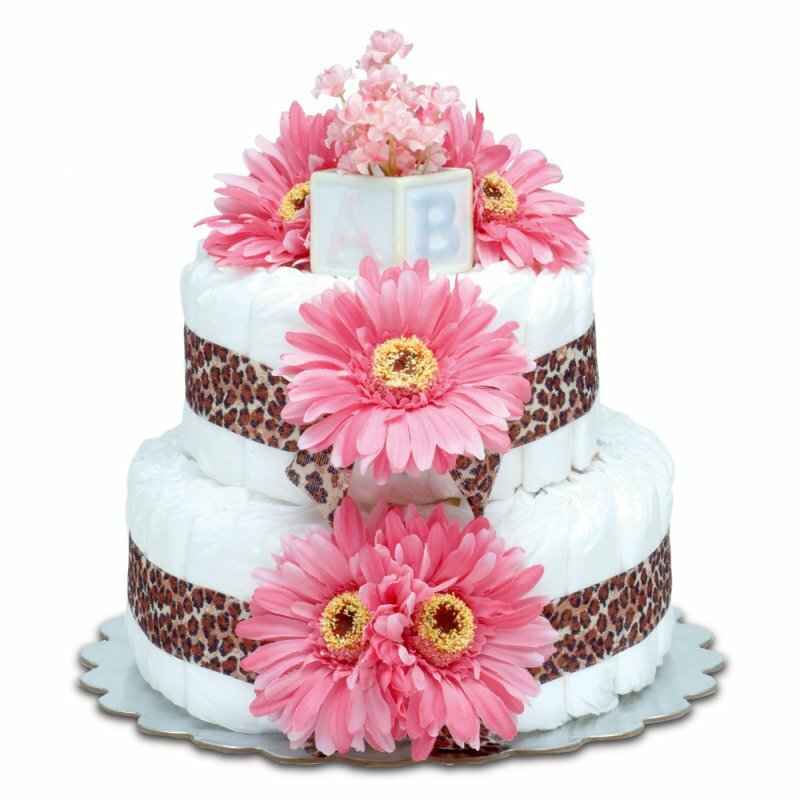 Towering 23" high, this adorable pink elephant baby cake is loaded with many ingredients new moms love. Soap, powder, diapers, booties and more! Don't know Baby's gender? 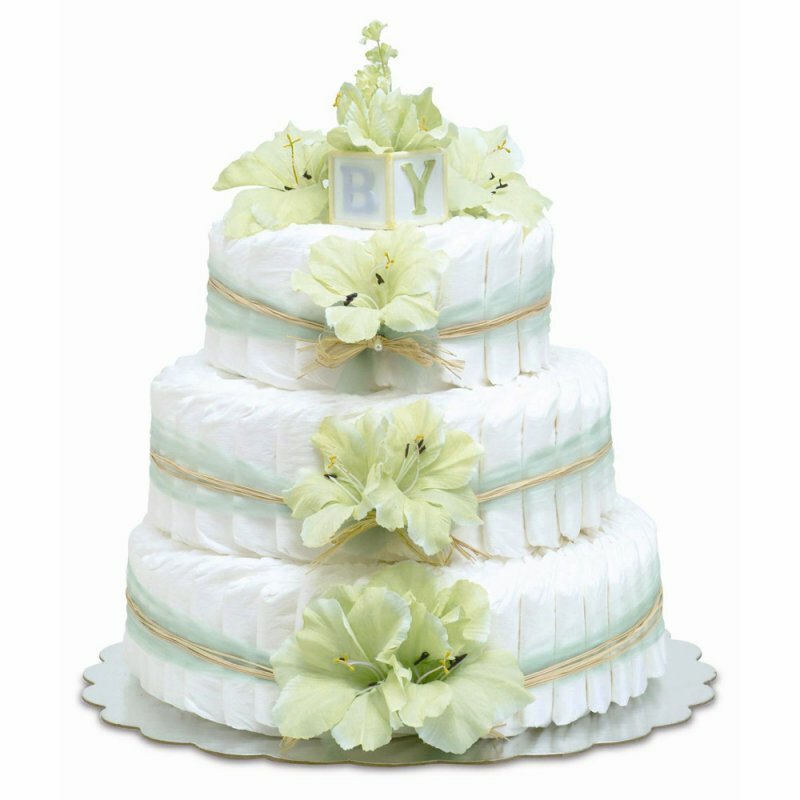 Choose from these beautifully decorated gender neutral diaper cakes perfect for any baby shower centerpiece and a thoughtful gift that Mom-To-Be will adore. 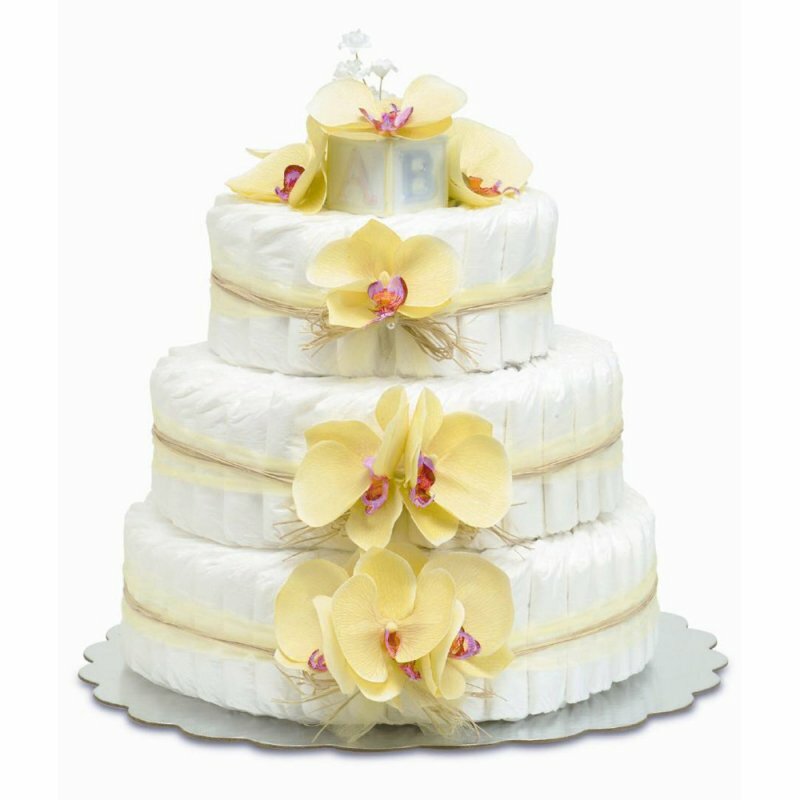 Mom-To-Be will love this exotic looking Yellow Orchids diaper cake. A thoughtful baby shower gift, made from 85 diapers! Wrapped in white tulle, secured with a satin bow & retro safety pin. 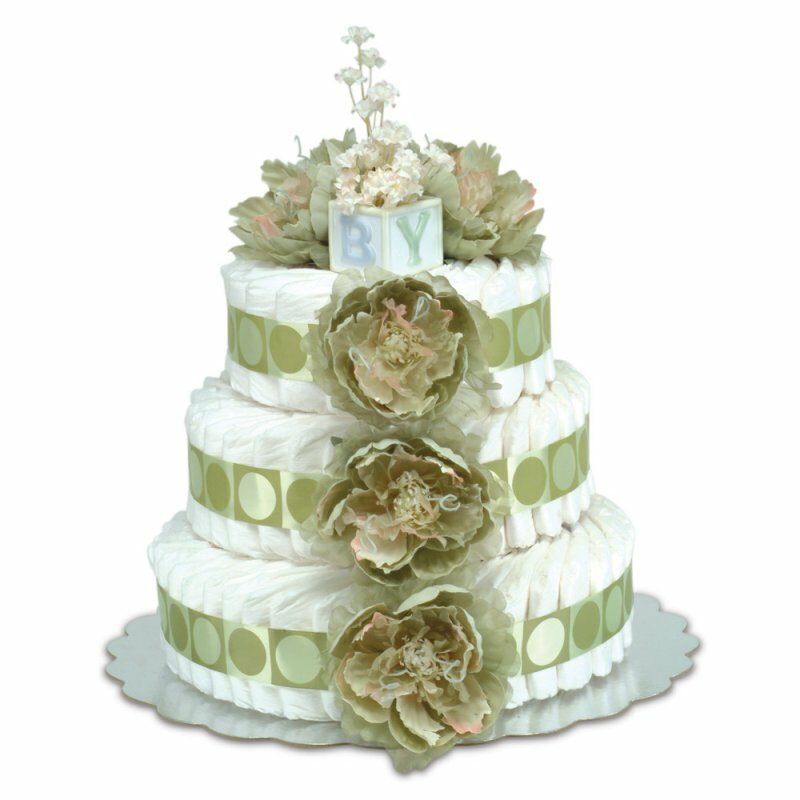 The gift that keeps on giving, delight Mom until the baby arrives with this diaper cake gift that doubles as a centerpiece. Made from 85 diapers and wrapped in white tulle, secured with a retro safety pin. Diapers can be beautiful. 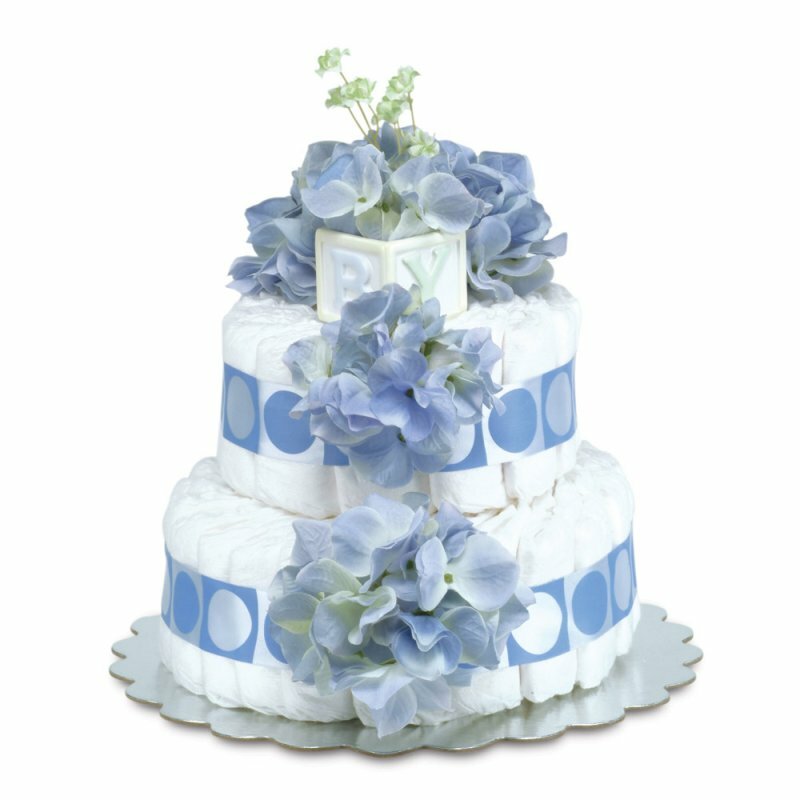 A thoughtful diaper cake gift to surprise Mom-To-Be with a of a generous supply of 85 diapers! White tulle wrapped, satin bow tied with retro safety pin accent. Loaded with lots of love, this bear baby cake includes booties, a 100% cotton gown, hat, receiving blanket, lotion, terry toy, diapers, powder, soap and more! A Plush Monkey adorns this monkey around diaper cake! Packed full of 60 diapers and the necessities that Mom-To-Be will be grateful to have! Perfect for a sports-themed baby shower, this Lil' Soccer diaper cake contains a fun assortment of goodies! Also available in football, baseball and basketball.